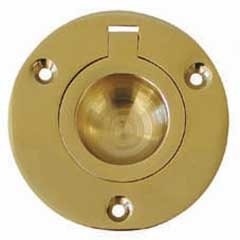 Traditional Polished Brass Flush Ring Pull measuring 65mm diameter. 45mm distance between holes. Sold individually.